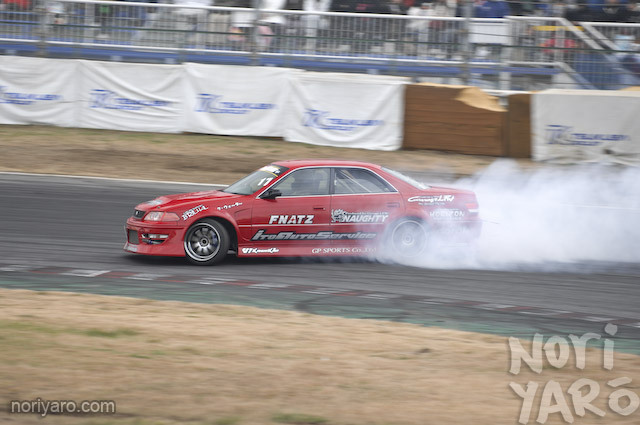 Here’s a demonstration by D1 Street Legal driver Yuusuke Kitaoka on how to take the judged hairpin at Tsukuba Circuit. First, come in with as much speed and angle as you can. Next, kiss the ripple strip with your front right wheel. Then, flick it as hard as you can in the opposite direction. Brake it hard straight towards the judging stand and shift down a gear. Drop the clutch and floor it. Finally, hold the accelerator down to the floor for a long time. It’s not all that hard, is it? Awesome! 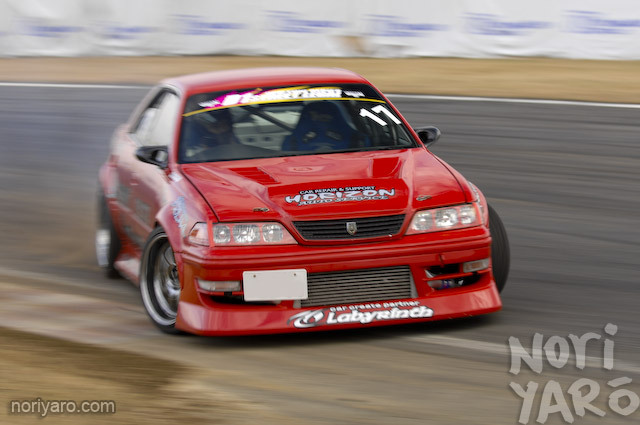 Any of the pictures would do great as a desktop, loving the JZX series! !st 2nd Or last picture should be a wallpaper!! Can we see this done in Alexi style? may i request another lesson on ebisu’s D1 judged section? Nice.. Keep up the many great posts..
Wallpaper for the last picture or 2nd! we want those result for men 4 door comp!!! I think we need to see some more of Alexi doing this stuff dont we fans??! Awesome shots as usual mate! In the first shot the rear tyre looks distinctly odd. Is it peeling off the rim? 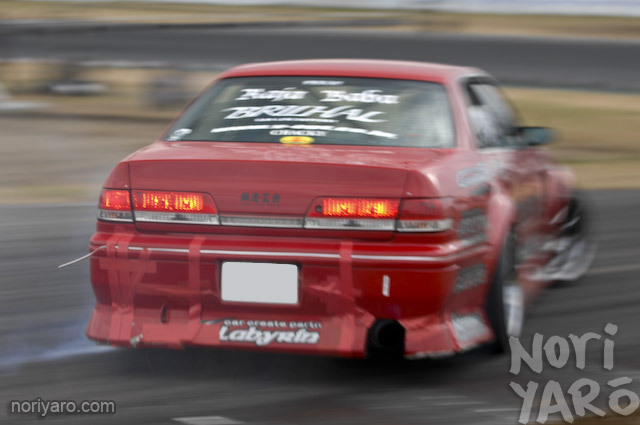 PU#1: i think thats just smoke on the outside of the tyre. i think! last one for wallpaper!!!! awesome! yeah! the 1st and 2nd pic should be a wallpaper Epic guide.